The ideal solution to grooming small dogs! 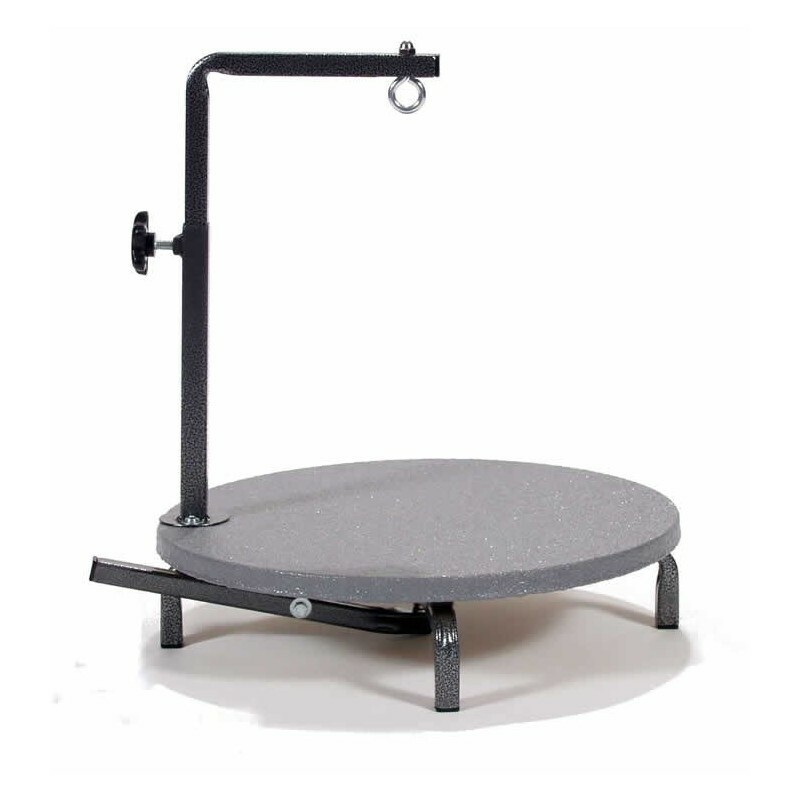 The Lazy Susan rotating table allows you to stay in one position while you work. 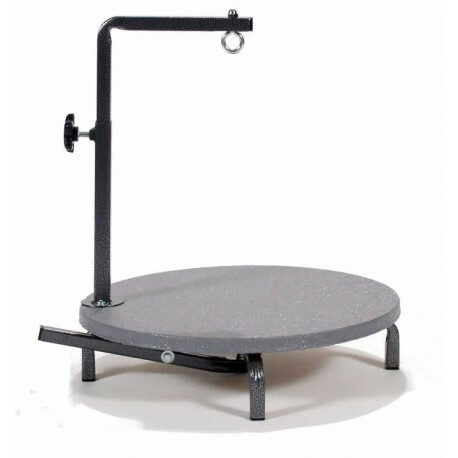 18" diameter table rests on regular grooming table, holding toy dogs securely with its own grooming arm. Turns smoothly and locks easily with just a touch of the finger. Does not include a grooming noose. This table is for very small dogs, such as a Chihuahua, Yorkshire Terrier, Pekingese, Shih-Tzu, Maltese, Pug, and etc. Edemco makes a table for every tail! From simple and inexpensive to the finest grooming table made. You can't TOP an Edemco Table.